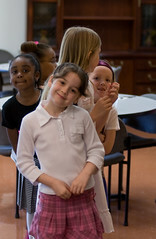 Olivia's brownie troop was fortunate enough to be able to celebrate Mother's Day with a special brunch prepared by Chef Jason Sparks at L'EcoleCulinaire. 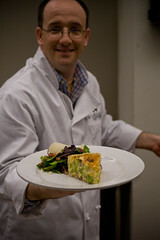 The brownies served the food that Chef prepared. Assisting that day was a true assistant and soon to be graduate of the school, Mike, along with a very helpful newbie, John, and of course a guy who spent most of his time behind a camera, me. However, I did make the whipped cream by hand. The brunch started with a fresh fruit and yogurt parfait that was prepared almost exclusively by John. That was followed by an amazing quiche that was made completely from scratch, (Tip: For a great crust, use ice cold water.) along with a fantastic balsamic salad. To end the feast was some type of chocolate waffle topped with my whipped cream and fresh strawberry sauce. The girls were eager to serve their mothers and I believe the moms had a wonderful time. 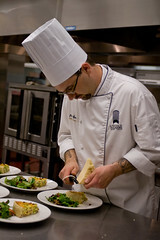 To see the rest of the photos from the day, visit my Flickr page and look at the Brunch at L'Ecole Culinaire Set. I have been taking photos of the Washington University Men's soccer team for the past couple of years. This year I got one of the seniors before a game. A great group of guys. In the back from left to right are Alie, Ethan, Onyi and Matt while the two in front are Marshal and Brian. All the photos from the season can be found on my smugmug page. It is fall and for me that means it is soccer season. I am a little late posting this, but the Wash U. season started over a month ago. 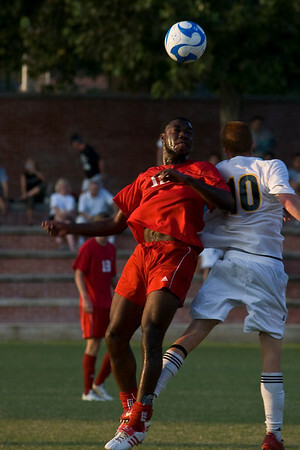 To keep everyone up to date with the photos I take, I have put up www.wustlsoccer.com. So far this season the team is playing great and looking very strong. 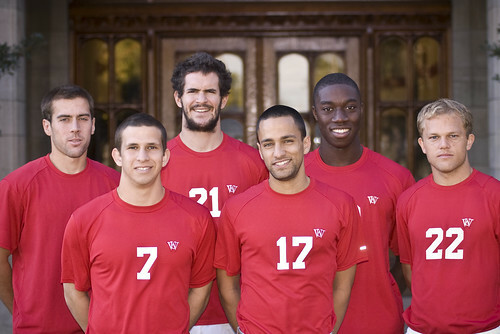 For all of the team information and stats, view the official WUSTL Bearsports Mens soccer website. 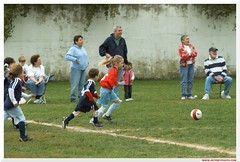 Olivia had her first real soccer game on Sunday, September 24. She is on the Jackson Park Kindergarten team and they are great! She played three quarters on the field and then jumped into the net for a quarter as the keeper. You can see more photos of Olivia and all of her teammates on my flickr page with the tag jpsoccer. 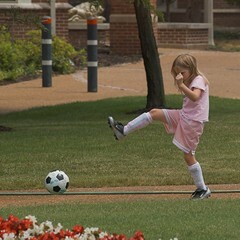 Olivia went to her first soccer camp, the Joe Clarke Soccer Camp at Washington University. She had a good time and loved the swimming the most. She said it was hard work, but she liked it. See more pictures of Olivia by looking at my flickr site at photos tagged with Olivia. See more camp photos under the tag JoeClarkeSoccerCamp.